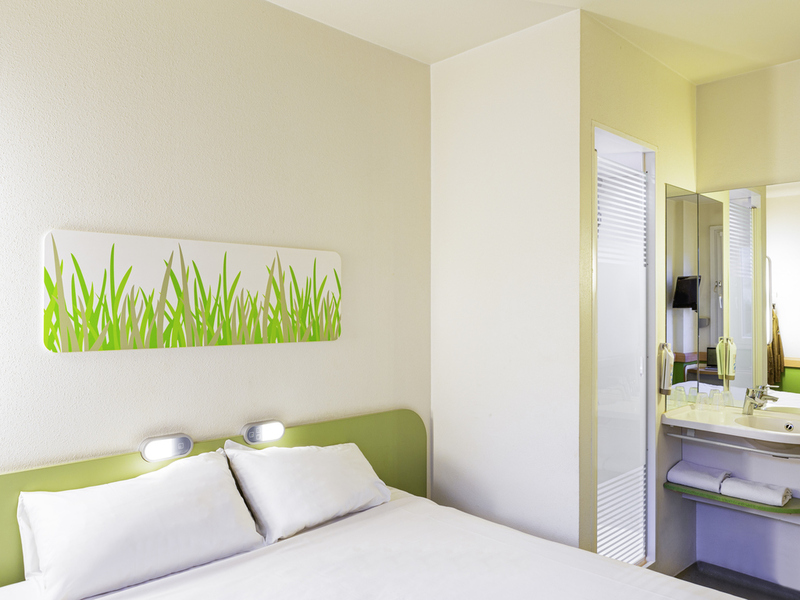 If you are looking to book an affordable hotel in Oviedo without compromising on quality, our ibis budget is the best option! The hotel is 328 yds. from the bus station, 0.6 miles from the center and offers easy access to the Calatrava convention center. Its modern and comfortable rooms have been designed with your relaxation in mind. They are equipped with air conditioning, heating, TV and WIFI. The ibis budget in Oviedo serves a reasonably priced daily buffet breakfast, has parking and welcomes pets.